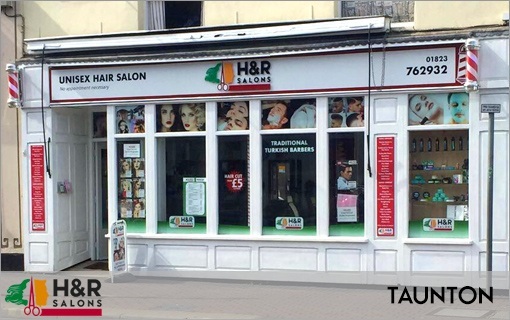 H&R Salons (Hair & Razor) is a young and dynamic company which seeks to provide a service above the standard at a reasonable price. Our goal is to leave in every single costumer a feeling of professionalism, warmth, personalized treatment and optimal results. We have a team of experienced and qualified professionals who will always look for the best results for you. 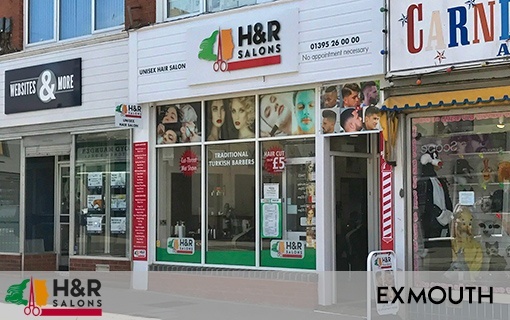 Located on the main shopping street in Exmouth, our site here is conveniently placed near neighbouring shops and eateries, and is a 5 minute walk from the beach - perfect for a pre-tan trim! Shopping in Torquay? 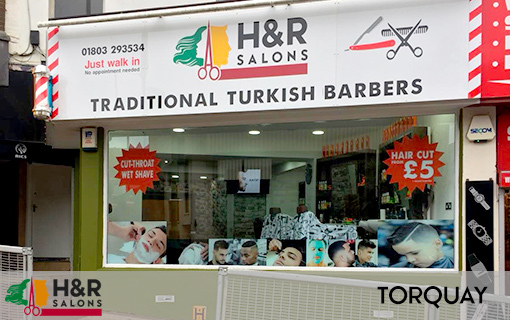 Why not pop in for a quick haircut - we're located on Fleet Street and have a wide range of services available at competitive prices. 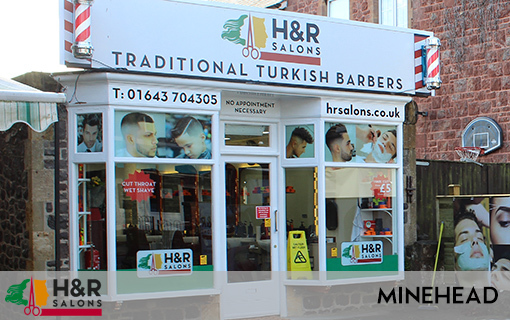 You'll find us in Taunton near the centre of town, on East Street, just across from the shopping centres. Stop in for a friendly, professional haircut or more while out for your retail therapy! Our opening hours for our Exmouth branch are changing as of the 19th November 2018. You can view our new opening hours on this page.